Imba is (seems like, since I dont know him) a great allround guy. 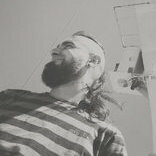 Good sense of humour, good taste in music, a talented producer, and has a good post record on psynews - so I reckon Im sure enough about him being an allround good guy. Listening to Imba has been interesting in a special way. From the very beginning of his "career" which just seemed to appear out of thin air - to the now, as a solid, working, recording and performing artist. Its been a pleasure to listen to first attempts that sounded great, to listening to this - a fully fledged top notch goatrance production. He has grown as an artist, in a big way, and very quickly. From a "random guy on psynews that made music" to a prominent and now well-known name in New School Goatrance scene. Okay, that was my introduction of Imba as I see it. Now for the review of the music! This is without a doubt his best work. Im amazed just how much he has grown in his skills. The production is in better quality than ever before, the mixing is quite honestly perfected and now easily recognisable as Imba. Before, the tracks didnt have as much soul. They were good, but not great. Now they are starting to become great. The frist track has a very solid production as said, a very large soundscape, excellent mixing and mastering, and overall good choices in leads and FX. The track itself is a little slow and a little boring, though, as I feel too much focus was given to the sound rather than the music. Impossible Austronaut sounds like nothing before. Awesome! Finally! Kickdrum: AMAZING mixing here. Big transient and deep kick. Very skillful, trust me on that one! Mixing the kickdrum is the hardest part IMO, and the biggest thing in the mix. Track sounds unique enough to not remind much of any other artist - and well, its now written in stone, the sound of Imba. The style of the music is a little bit of nova fractal, innerspace, liquid flow, artifact303 and crossing mind all mixed in a pot. Its a pleasure to now being able to add "the sound of Imba" to the collective consciousness - just as we all know and can identify many of our beloved artists. Chloes Thing is previously released and heard, and is a great party stormer with lots of goastyle 303 goodness. Some E-Mantra vibes here but still unique enough to not sound like anyone else. 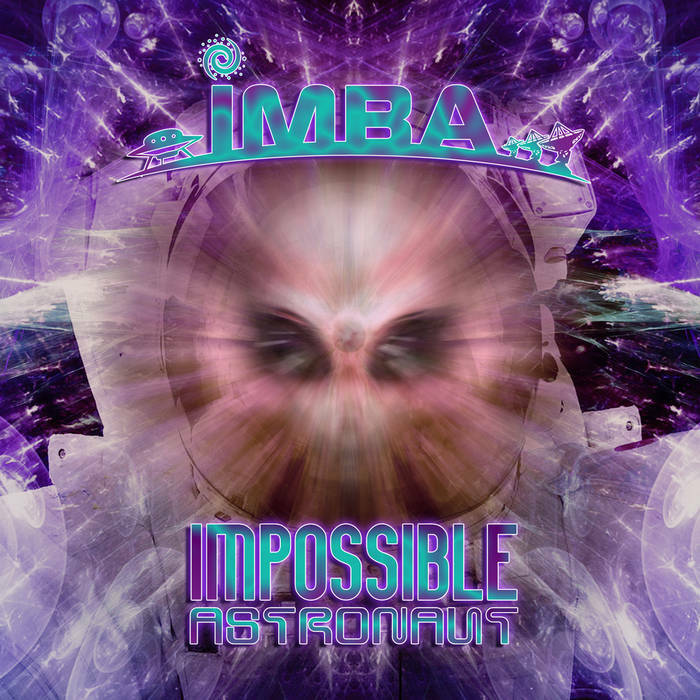 Very good job Imba, you have cemented yourself as a true Newschool Goatrance Artist! With his own sound and everything. Its really rare if you think about it. The world has about 8 billion people? Not sure on the exact number. How many people do we have that produce really good Goatrance? Its nice to add Imba to the mix now, too. We're getting deeper now. Its more psychedelic than the other tracks, and alot more serious. We aint playing games anymore. Rock solid goatrance, brand new and fresh approach - doesnt sound recycled or anything like that - its a very very good track, that Im going to play alot in the future, most definately. The Omega Centaurus remix is yet another home run! Its better than the original! The original is great but the melody tends to become a bit "funny", and its overall not on any of my favorite lists. However this remix brings the melodies a fresh tuneup - removing the "funny" part, and making the track more serious and real. Im very happy he chose one of the lesser (IMO) tracks from D5 - and not one of the best ones. Overall a great release, and Im positive that the next Imba release will be better than this one. Not a 4 due to lack of a single masterpiece, although 3,5 is for me still a very good grade. Mastering is great. Nothing stands out and there are no fundamental errors anywhere. Great job from Deimos Soundlabs! The artwork is.. Interesting. First of all, either he listened to me or just thought of the same thing - NEW AND EXCITING FONT/TEXT! Not just the same ol standard font and same ol glow. I like the idea of the alien in the space-suit. Fun to see Neogoa art becoming better, just like the overall Neo Goa music is becoming better too. I want to personally thank Richpa for the album, so that I could review it, and since it was all my pleasure; a really big thank you, Richpa! You're welcome and thanks for posting this review, I'm happy you enjoyed music. As I said on reviews request page, if someone needs music for review purposes, I'll gladly forward WAV files and high resolution art to any reviewer here on Psynews. P.S. - there is a typo in topic title, it's Astronaut, not Austronaut. Maybe moderator can fix that one? Ops, how embarassing. Yea perhaps a mod will, Ill ask. I totally agree about Imba being a great guy. Always like reading his input on here on psynews. I too would rate the music with 3 or 3.5/5. Impossible Astronaut and Chloe's thing are the strongest tracks imo but definitely, I enjoyed the whole album. I am looking forward to his next release. Go Imba! AP is nowhere to be found to put up a poll in the OP. On topic - when I bough the new digipacks from the Neogoa , I had not heard any samples or streamed the free albums. They were impulsive buys coming from a strong liking to their previous outputs. AUYRN , Crossing the Rubicon , World Beyond , Kolovrat were amazing. I had very high expectations from every release coming from Neogoa after these, but still haven't managed to find a release which lives upto it. I will send him a mail tonight. Good, (3.5/5) but not your best. I heard some new tracks of you which sound much better! Are they panning to get released soon? Now , I want to know about these! "There are some extremely odd things about this mission." Love this Ep. Sounds powerful and lush with melodies coming hand over fist.